Qasa was built to make housing rentals easier. We have now initiated a partnership with the insurance company Hedvig, helping us make your experience even more safe! Raghu had the upper hand among many hundred applicants, and is now renting this summer's most popular home on Qasa. Here are his best tips for how to stand out when looking for a home to rent. At Qasa we are now taking yet one giant leap towards a more accessible housing rental market. We do this by launching a new algorithm that aims at helping home seekers look for available rentals. The idea is for home search to be as easy as making a query on Google, enabling anyone to easily monitor the housing rental market and find the best possible accommodation in a matter of clicks. We are happy to see Stockholm at nr 16 when NY Times lists the 52 Places to Go in 2017! If you have developed a taste for technology and decide do dedicate your career to one of the world’s most innovative industries, Stockholm is the place for you. This Startup Supercity is attracting talents from all over the world, people like Ruairí. An Irishman who decided to relocate, a techie who found a new home in the world’s cleanest metropolis. Here’s a small pinch of his experience. A complete guide for those who are starting to study at Stockholm School of Economics in Stockholm and want to gain the most out of their academic experience. Once you have decided to sublet your home, it is time to begin to think about renting permits. This you apply for through either your first-hand landlord or condominium association, depending on if you live in a rental or condominium property. After having read this guide you will not only know how to apply for a permit, but also why it is so important to have a permit and what will happen if you don’t have one. Klara and Viktor left Eskilstuna with their sights set on the well renowned Royal Institute of Technology (KTH). Not only were they moving to one of the toughest schools in Sweden, but they were also moving to the country’s toughest housing market. 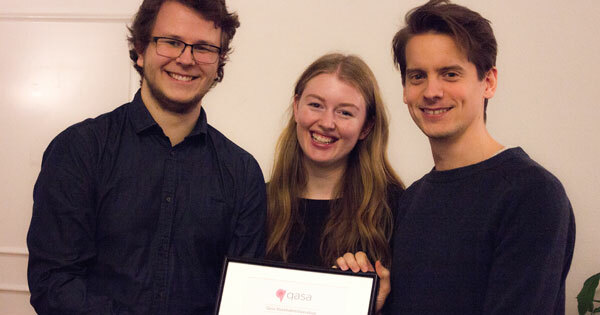 With the help of Qasa's scholarship they will now be able to make something more out of their first semester in the city! Finding a home in any new city can be hard. New faces, a new neighborhood and a new system to find the place you ultimately can call your home. But if you will give it a try, you should do it in Stockholm. In the end, you will realize that the process ending with you sitting in your new apartment didn't have to be so difficult.